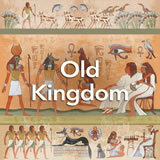 Students explore the Middle and New Kingdoms of the Egyptian Empire. They learn about the basic history of the Middle and New Kingdoms and take a close look at the life and legacy of Hatshepsut. Then they do their own research on other important pharaohs of the era. Finally, they research the last pharaoh of Egypt‚ÄîCleopatra. 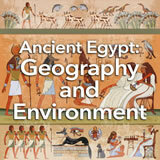 In this experience, students explore the Middle and New Kingdoms of the Egyptian Empire. They learn about the basic history of the Middle and New Kingdoms and take a close look at the life and legacy of Hatshepsut. Then they do their own research on other important pharaohs of the era. Finally, they research the last pharaoh of Egypt—Cleopatra. This experience is best taught in conjunction with the other Egyptian history experiences. This experience on the Egyptian Empire fits chronologically immediately after the experience The Old Kingdom. Students will work together in small groups in scene 4. Each group will research one of four pharaohs, so ensure that there are at least four groups. 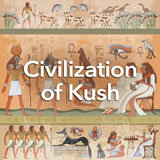 Describe the social, political, and economic development of the Egyptian Empire. 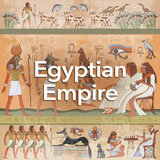 Describe important achievements and key figures in the Egyptian Empire. 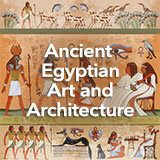 As Egypt grew to become an empire, its arts, sciences, and government matured. This was the time of the New Kingdom. 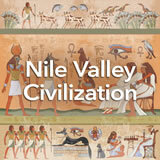 In this experience, you’ll learn about this golden period in the history of ancient Egypt. Ancient Egypt is famous for its dynasties and many powerful pharaohs. Discuss student responses. Spend a little time asking students what they know about these pharaohs. Invite them to create guiding questions that can frame the rest of the experience.